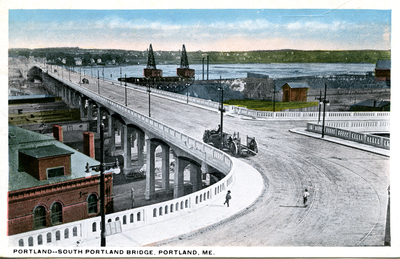 "Portland - South Portland Bridge, Portland, Me." Southeast bound view of the "Million Dollar Bridge, " from northwest. South Portland in background. Circa 1920. "Portland - South Portland Bridge, Portland, Me." (2013). Portland Postcards. 24.